The big fat Kapoor wedding celebrations have begun! 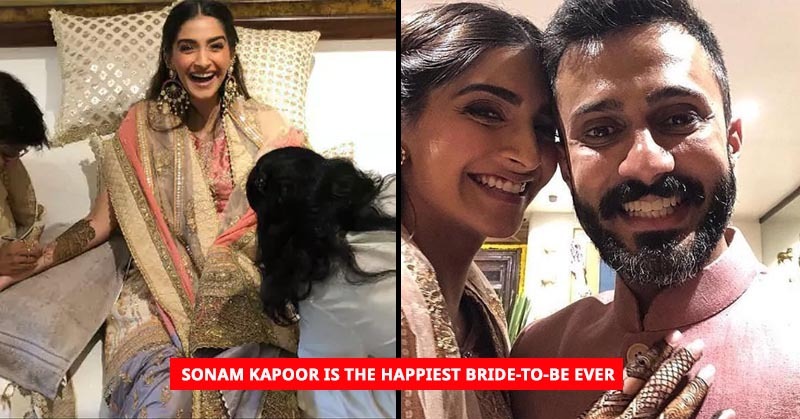 Sonam Kapoor is the happiest bride-to-be ever. It’s time for band, baaja and baraat in Bollywood. 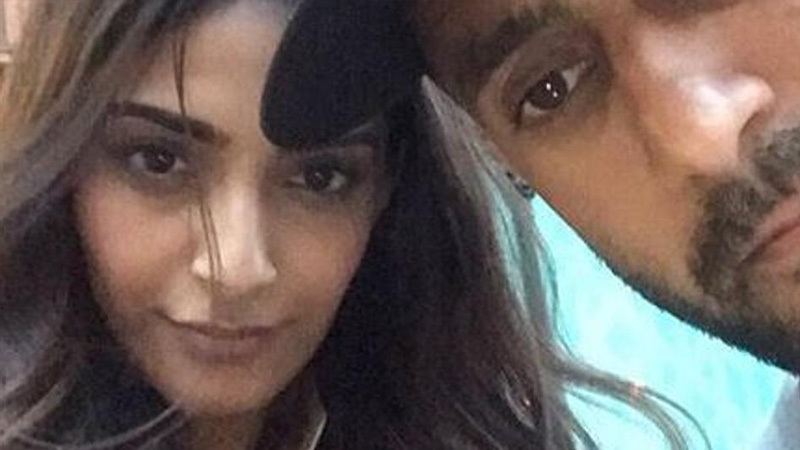 Actress Sonam Kapoor & businessman Anand Ahuja are all set to tie the knot on Tuesday, May 8. The celebrations for one of the year’s most-awaited weddings. It began last evening at Anil Kapoor’s Juhu bungalow. And just look at how happy the bride-to-be and her beau are looking at the Mehendi ceremony. Groom-to-be Anand Ahuja also reached Mumbai on 7th May. And, Sonam was at the airport to receive him. Bollywood was seen putting on their best attires and heading to the Kapoor’s house for the celebrations. Sonam Kapoor and Anand Ahuja’s wedding festivities started last evening with a grand mehendi ceremony. Hosted at Anil Kapoor’s Mumbai home. The bride-to-be Sonam looked radiant in an Anuradha Vakil lehenga. Which she paired with big danglers. 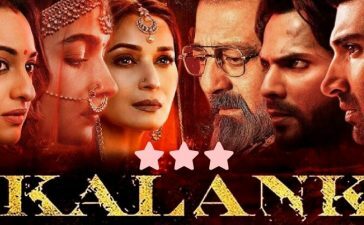 Anand complemented her in an achkan. Several pictures and videos from the ceremony have been shared on social media by the Kapoors. The guests started arriving at the venue in the evening. And they certainly had a blast. Late actress Sridevi’s daughters Janhvi and Khushi Kapoor turned heads in Manish Malhotra’s costumes. Karan Johar, Rani Mukerji, Kirron Kher and other celebs also attended Sonam Ki Mehendi. The entire Kapoor clan is by her side including Rhea Kapoor, Janhvi Kapoor, Khushi Kapoor, Arjun Kapoor, Shanaya Kapoor. Also including her friends in the fraternity, Karan Johar, Kunal Rawal, Masaba Gupta, Abu Jani and so many others. 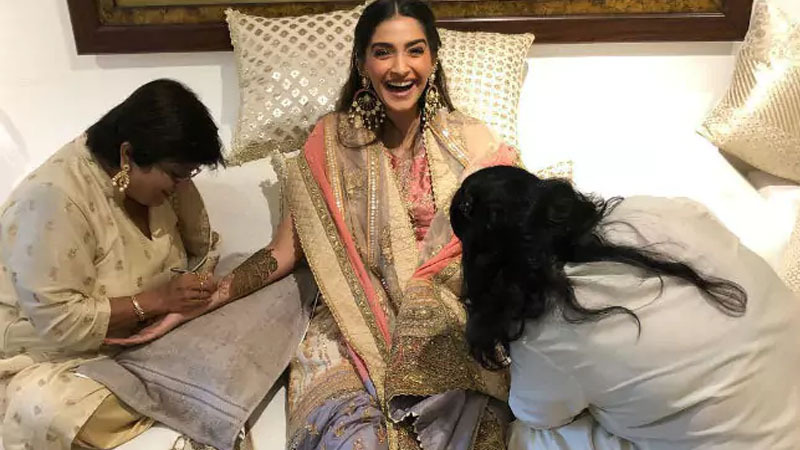 Dressed in a beautiful lehnega, Sonam is glowing as she gets mehendi on her palms. While Anand had opted for classy band gala. The duo were colour-coordinated in pink outfits for the function. Full marks for the couple’s choice of colour. As per the invite, the Kapoors and Ahujas hosted a formal mehendi function on 7th May at Sunteck, Signature Island in Bandra. Earlier, Bollywood started gearing up for the wedding. Including the dance practices in full swing. Actors Varun Dhawan and Arjun Kapoor on Friday shared Insta Stories from the rehearsals, and well, it was as star-studded as an awards night with director Karan Johar, producer Aarti Shetty and designer Kunal Rawal in attendance. 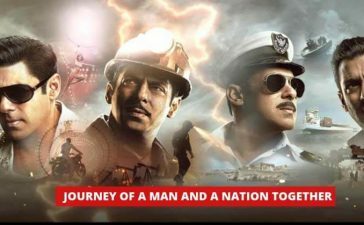 The posts show the stars dancing to Salman Khan’s hit number ‘Swag se swagat’. And if that isn’t enough, dad Anil Kapoor will also take to the stage on his daughter’s big day. A source told Filmfare, “Anil is ecstatic about his performance on Sonam and Anand’s sangeet. He will perform on two of his favourite numbers – ‘Gallan Goodiyan’ from ‘Dil Dhadakne Do’ and ‘My Name is Lakhan’ from ‘Ram Lakhan’. 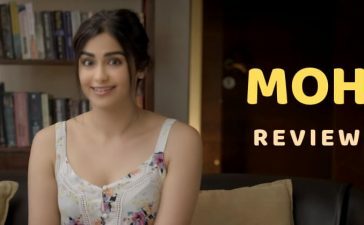 It will be more fun because Satish Kaushik and Anupam Kher will also be joining Anil.” Janhvi Kapoor will be performing. 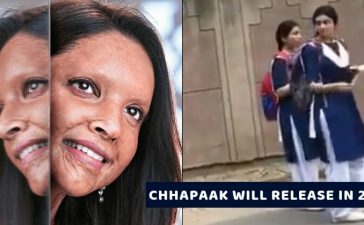 She will be performing to her mother, the late Sridevi’s, songs at the function. Exciting isn’t it? What do you think? Let us know in the comments!